How Clean Is Your Child Car Seat? A new study on the cleanliness of child car seats has revealed that there could be more bacteria on a child car seat than a toilet seat! The investigation, which was undertaken by consumer watchdog, Which?, has found that there could be up to 30 types of bacteria on car seats, compared to only 16 found on a toilet. Buckles, harnesses and headrests are said to be the most unclean areas, with bacteria gathering in those areas which could make youngster ill. 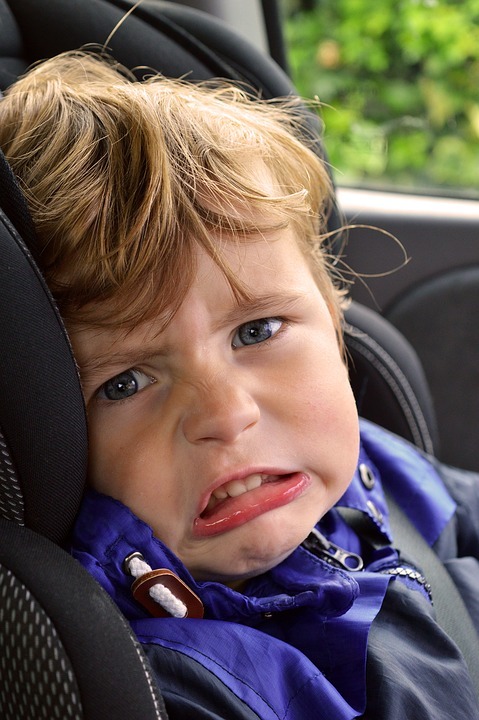 The study saw swabs of car seats tested for bacteria, and whilst parents of young children may not be surprised that a child’s nappy may be harbouring gut and faecal bacteria, it may shock some to learn that the same bacteria is being passed to seats. The Which? Investigation revealed that there were on average 100 potentially dangerous bacteria in each square metre of a car seat. The watchdog gives the following advice to keep car seats clean and to reduce the likelihood of illnesses. First read the instructions This is so you know exactly what parts come off and how. Take a video or pictures This is so you can remember exactly how to put your car seat back together again after you take it apart. Wash Read the care labels and the instructions. Pay careful attention to the car seat harness The harness plays a vital part in helping to keep your child safe and secure in their car seat, so make sure you follow instructions. Put it all back together again Use the video or photos you took earlier, your car seat manufacturer’s website, and instructions to make sure it’s all put back together exactly as it was when you started.